How is a mission-appropriate student defined? The Overlake School is a liberal arts, co-ed, grade 5-12, college preparatory independent institution that provides a balance between a rigorous academic curriculum and a vibrant co-curricular program. Overlake seeks to enroll students with promising academic capability and the potential to contribute to campus life in a unique and meaningful way. Well-rounded students who have a love of learning as well as a variety of interests, skills, talents and backgrounds in academic and non-academic areas contribute to the school’s community of learners. How many openings are there in each grade? Each year we begin with a new class of 32 fifth graders (two sections of 16). In sixth grade 32 new students are added, for a total of 64 students (4 sections of 16 students). Seventh and eighth grade openings are determined by attrition only. We continue with 64 students (4 sections of 16 students). Openings for ninth grade range between 16 to 20 for a total of 80 students (5 sections of 16 students). There may be additional openings in grades 6 and 9 due to attrition. Openings in grades 7, 8, 10, 11, and 12 are created through attrition only. The Upper School, grades 9-12, is fully enrolled with 305 students. The Middle School, grades 5-8, is fully enrolled with 224 students. How many applications do you have for each opening? While this varies from year to year, grade level to grade level and gender, the range: 1 in 4 to 1 in 5 applicants is admitted. From what schools do your applicants come? We receive applications from many schools including out-of-state and international schools. The greatest numbers of applicants live in Redmond, Bellevue, Woodinville, Kirkland, Sammamish, and Issaquah with over a dozen other communities represented. Approximately 35% applicants attended public schools, 64% attended independent schools and 1% were homeschooled. We believe that an environment that includes people of diverse backgrounds adds to the quality of an education. The Admission Committee conducts the admission process to achieve a class composition that is balanced and diverse in many respects. In addition to academic achievement and ability, applicant qualities and characteristics to be considered, include, but are not limited to: gender, racial, ethnic and cultural background, sexual orientation, religious preference, socio-economic status and life experience. Please see the Diversity site for more information on Overlake's diversity initiatives. What characteristics and components are considered when reviewing applicant files and making decisions? In addition to reviewing all required documentation, Admission Committee members consider the following: academic ability, attitude, emotional maturity and sociability, character, activities and interests, outstanding talent, diversity, and any relationship to the school. Other factors taken into consideration include the number of openings available per grade level, gender balance, the composition of the current class which means the chemistry, personality and interaction of classmates at a given grade level. In essence, the "match" or "fit" between the school and the applicant is an extremely important one. Careful consideration is given to each and every applicant. Should I apply if my child has special learning needs or conditions that may require special accommodations? In reviewing applicants for Overlake, the Admission Committee takes into consideration the overall ability of the student to be successful academically and socially in a rigorous academic environment. 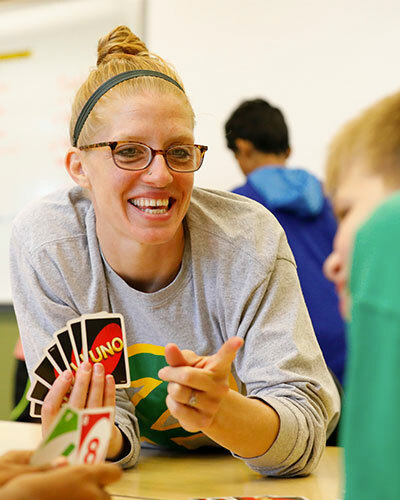 We find that some students who have special learning needs requiring minimal accommodations are able to do well at Overlake. It is important for parents and applicants to be aware that we have limitations regarding the types of accommodations we are able to provide. In order for us to make well-informed decisions regarding an applicant with special learning needs, we require that parents fully disclose in the application all relevant information regarding the applicant’s learning needs. Our Learning Specialist reviews the information provided by parents and health care professionals. With the candidate’s best interest in mind we determine if Overlake is an appropriate educational environment where the applicant could be successful. What does it mean if my child is wait pooled or denied admission? Each year we receive applications from more qualified candidates than we have openings. Decisions to admit, wait pool, or deny candidates are influenced by the pool of students applying. In addition to the academic and social profile of each applicant, we consider the right balance of skills and interests that each student would contribute to the group. Wait pooled candidates are re-evaluated if space becomes available in the grade to which they applied. Can my child re-apply next year if not admitted this year? Yes, both wait pooled and, in some cases, denied applicants may submit a new application in subsequent years. It is processed just as if it were the first application, including a re-take of the entrance exam, current teacher recommendations, and new essays. The previous year’s file is available to the current Admission Committee for review. What is the Related Admission Policy? The Admission Committees recognizes that related families may want their child(ren) to attend The Overlake School. Related applicants are defined as siblings of current students, and the child(ren) or relatives of our alumni, faculty and staff. Related applicants are given extra consideration in the admission process. Extra consideration means that Admission Committee members are aware of the related status. While related status does not guarantee admission, since each applicant will be considered based on his/her own merit, being a part of the related group is considered to be a positive factor that the Admission Committees interpret as contributing to the good of the school community. The Overlake School welcomes applications from International students. Applicants must be fluent in English and able to fully engage in a college preparatory curriculum. The Overlake School does not offer English as a Second Language (ESL) or English Language Learner (ELL) classes. Students are responsible for finding their own housing. We do not have dormitories nor do we arrange home stays. All applicants, regardless of citizenship, submit the same application materials, including the results of the entrance exam. After an International applicant is offered admission and enrolls, Admissions will assist the student by issuing the I-20 form needed to apply for an F1 Visa. Please see the International Applicants page for additional information. If my child is admitted, are there other responsibilities that I as a parent should know about? Parents are expected and encouraged to get to know their child's teachers and support the child's academic and co-curricular activities. In addition, parents play a vital role in the success of the Overlake community. The Parent Faculty Staff Association (PFSA) supports the school and its programs by sponsoring monthly meetings, parent education seminars, social events, teacher/staff appreciation, an annual auction, a grants program for special projects, athletic booster club, Overlake Friends of the Arts, Parent Net and the ski bus program. What is the school's expectation of parents in terms of contributions and other fundraising activities? Similar to most independent schools, Overlake does not receive any public funding. Therefore, we are dependent upon tuition, contributions and endowment investment income to fund our annual operating budget. To learn more about how contributed income supports the school, please read more about our annual Overlake Fund. Each year, we ask every family to consider an Overlake Fund gift at a level that is meaningful for them. The school also periodically undertakes capital campaigns to raise funds for specific projects. In addition, the Overlake Athletics Club (OAC), and the Overlake Friends of the Arts (OFTA) may hold small fundraising sales and students may raise funds for various charities which your family may or may not wish to participate in. Each and every donation is appreciated and makes a visible and immediate difference. We are grateful to all our donors for their wonderful and thoughtful support! Yes. Information regarding the bus routes is available on the Transportation site. Routes are subject to revision as needed. How do I get to The Overlake School? Driving directions are available on the Directions page. *Please use the directions on our website if you are visiting the school for the first time; many GPS systems provide incorrect directions to our locked back gate. Please visit the Contact page for a complete listing of the Admission and Financial Aid staff. What is the Financial Aid Policy? Overlake's Financial Aid Program supports the school's goal to increase socioeconomic diversity in the classroom, meet enrollment goals, promote access and opportunity to qualified students and support The Overlake School mission. The Overlake Financial Aid Committee offers aid to qualified students on the basis of financial need and the availability of funds. Families are required to apply for financial aid each year in order to determine changes in their financial situation and take into consideration any tuition increases or other factors that may affect the tuition award. Overlake strives to provide the original level (as a percentage of tuition) of funding through graduation provided the student continues to qualify for that level. Overlake offers several additional scholarship opportunities. For information, visit the Tuition & Financial Aid page. If my student receives an award for the first year at Overlake, will the amount change in subsequent years? Parents are required to apply for aid annually because changes in family resources may affect the size of the awards. The student will continue to receive tuition assistance from year to year, provided the student’s family demonstrates financial need and the student continues to meet the required academic and behavioral standards of the school. Although changes in tuition and student population may affect the amount of funding available in the financial aid budget, Overlake strives to fund a student at the same level through graduation assuming a family’s calculated need does not change. Are there any special obligations for student who receives financial aid? The Overlake School maintains the same standards of behavior and academic performance for recipients of financial aid as it does for students who do not receive financial aid. Visit the SSS website to read the instructions and file a Parent Financial Statement (available October 2nd). A “Parents’ Financial Statement” (PFS) and 2017 Tax Returns should be completed online at School and Student Service (SSS) for Financial Aid no later than February 7, 2019. A copy of your 2018 tax return, all supporting schedules, and your 2018 W-2s should be uploaded to SSS by March 1, 2019. If your 2018 tax return is not prepared by the deadline, please estimate your tax information on the PFS and submit the most recent tax return available. As soon as your current year Income Tax Return is complete, we ask that you upload a copy to SSS as soon as it is ready. If you own a business or a farm, you must complete the Business and Farm Statement, available electronically on the NAIS website. If parents are divorced or separated, who must file a financial statement? Overlake endorses the recommended policy of the School and Student Service for Financial Aid (SSS). This policy states that parents have an obligation to pay for the educational expenses of their children to the extent they are able and that takes precedence over the school’s responsibility to provide financial assistance. While the remarriage of either parent creates a new family unit with new relationships, the natural (or adoptive) parents still have responsibility for educational expenses despite any legal agreements to the contrary. Therefore, the resources of the entire new family unit are considered pertinent. Each parent submits a Parents’ Financial Statement (PFS) and follows the procedures listed above. We will waive the requirement for financial information from a non-custodial parent if the location of the non-custodial parent is unknown or we have documented information that the non-custodial parent provides no support and has not been in contact with the student for two years. If there are other extenuating circumstances that might warrant waiving this requirement, written requests should be sent to the Overlake financial aid office. Financial aid awards are determined through analysis of each family’s financial resources, including income, assets, financial obligations, unusual expenses, family size, and other children attending independent schools or colleges. To determine fair and equitable awards, Overlake subscribes to the principles and needs analysis system of the School and Student Service by NAIS (SSS). Families submit a Parents’ Financial Statement (PFS) for processing to SSS which then forwards the results to Overlake. In addition, families are required to submit photocopies of their completed 2017 and 2018 tax returns with all schedules and W-2s to SSS. Using individual information and uniform guidelines, the financial aid committee makes decisions about financial aid awards. There is often some variation between the Service’s estimation of a family’s financial need and what Overlake actually awards. This is because SSS merely keys in information, while Overlake’s Financial Aid officer reviews and recalculates each family’s financial profile. Will my financial aid application be kept confidential? Yes. All financial information and awards are kept in strict confidence. Only the Financial Aid officer has access to the financial forms you submit. In the case of separated and/or divorced parents, no information will be given by the school to either parent regarding the other parent’s financial disclosures. What happens if we miss the deadlines? Meeting the deadlines is imperative. We do not reserve funds beyond the initial round of awards allocated in February and March. Late applicants and families whose Parents’ Financial Statement and/or tax forms are received after stated deadlines may find that funding is not available. Families applying late should contact the financial aid office to discuss funding availability. Yes. A percentage of the student’s total award is placed in the student’s account to be used for additional educational expenses such as textbooks and Project Week expenses. Additional funding is also available for the school transportation program, extended education, Project Weeks, tutoring, our BYOD (Bring Your Own Device) Program, as well as academic and co-curricular trips. Families do not need to apply separately for this aid – it is automatically allocated to the student’s account. The amount of the funding for educational expenses will change from year to year depending on available funds and the number of recipients. Should I spend limited financial resources on elementary/secondary school or college? Whether to spend limited financial resources on secondary school or college education can be a difficult choice for families. At the college level there is considerable financial aid and federal funding relief available. As all family and student assets, in addition to income, are taken into strict account when determining college-level financial aid packages, an argument can be made that overweighting the use of limited assets in favor of a strong preparatory education can prove to be a thoughtful, reasonable, and wise decision. With the reality that all independent schools, unsupported by tax dollars, are expensive for virtually every family, it is increasingly common for parents and grandparents to share the costs of financing a student's education. To whom can I talk if I have questions? For questions related to the PFS and uploading documents, contact the SSS Customer Service Center at 800-344-8328 or online.